​Austin, Texas, 1876 Travis County Courthouse. Whereas the old Courthouse had been small and simple, the new Courthouse was monumental, elegant, and ornate. The 1876 Courthouse, a three-story limestone building, was a breathtaking example of "Second Empire" architecture. Resplendent with ironwork cresting, decorative dormers, and Mansard roofs, the 1876 Courthouse stood proudly on the southwest corner of 11th Street and Congress Avenue, directly across from the Texas State Capitol Building. However, by 1927 it had become so infested with rats, bats, pigeons, and other vermin that it, too, needed to be replaced. 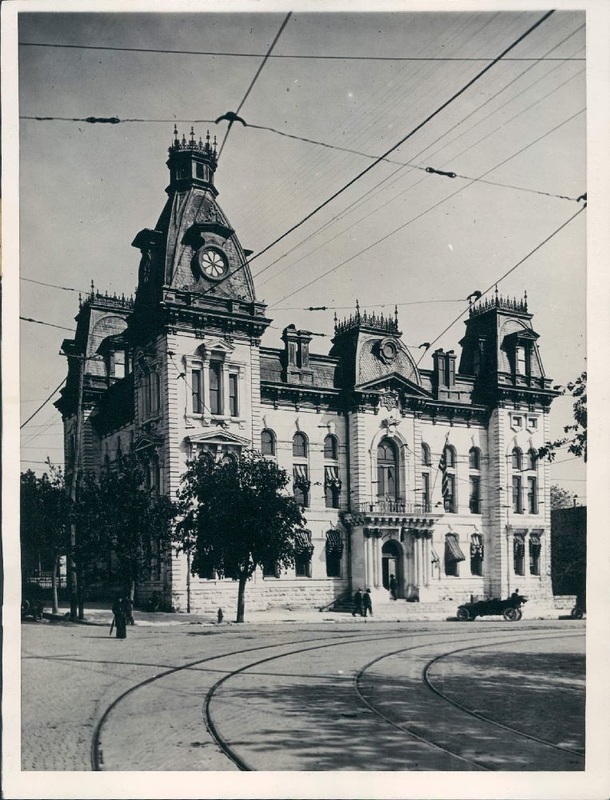 In 1931, Travis County offices vacated the 1876 Courthouse. The building, which was remodeled and put into use as offices for State agencies, was then given the name of the "Walton Building." In 1964, this structure was also demolished. Jacob E. Larmour, of Larmour & Wheelock, was the architect. The building was converted to state offices in 1931 and demolished in 1964.